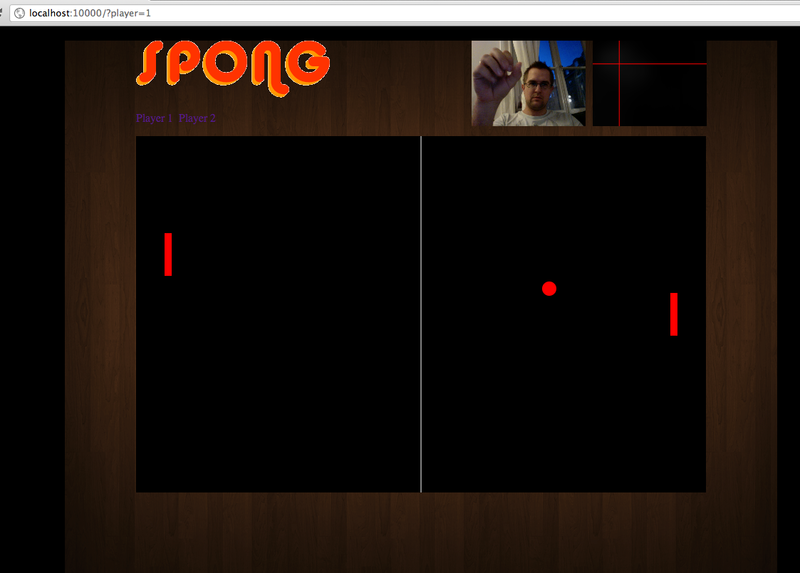 Each player runs the game from his web browser, which will access his web cam using WebRTC. The motion detector analyzes the video stream and detects where the most amount of movement is, this gives us a coordinate on the screen. The Y part of this coordinate is used to control the position of the players’ paddle. You can see this in the image above where the cross points out where i just moved my hand. Each players’ movements is sent to the other player via a Node.js/Socket.IO relay server. To summarize Protothon #2 I must say that I was really impressed with all the applications presented by the different teams. It was one intense day, but a lot of fun! I am looking forward to attending again in the future.